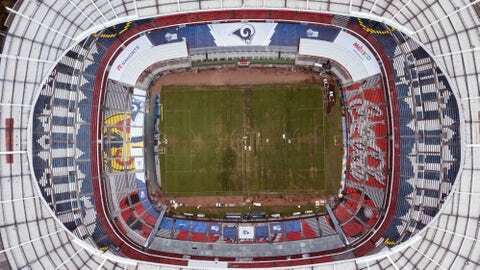 Poor field conditions at Azteca Stadium prevented the Chiefs from playing in Mexico City last November. NEW YORK — A second attempt for the Kansas City Chiefs to play in Mexico City is one of five international games on the 2019 NFL schedule. The other four international games will be played in London. The NFC champion Los Angeles Rams will host Cincinnati in London at Wembley Stadium on Oct. 27.